Minute orange apothecia firmly anchored to the lichen thallus, that a friend of mine tells me can be a Nephroma. 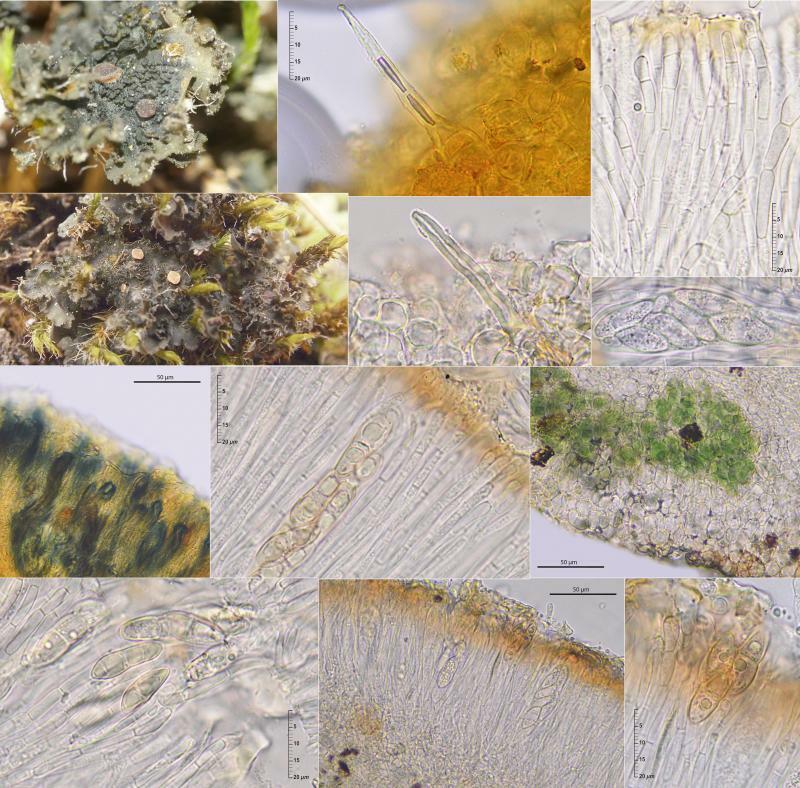 These apothecia are relatively hard, the asci react very deeply in IKI giving a very intense blue color, almost greenish and the excípulum seems to contain greenish cells perhaps coming from the algae. The asci appear be bitunicated and contain eight broadly fusiform spores, with yellowish walls. By the other hand. the apothecia have some hyaline septate thick-walled hairs which seems to me a rare character in this type of fungus. In other words: I don't know if it's just simply the ascomata of the lichen or if it's a lichenicolous parasitic fungus. Re : apothecia of ascolichen or lichenicolous fungus? Our friend J.C. Zamora has given the solution: they are the orange apothecia of the lichen Leptochidium albociliatum.